Claiming a dog is "man's best friend" isn't just a saying, it's a fact. Especially with a Chocolate Lab; this dog is gentle, won't hold a grudge, will always be loyal, outgoing and loves to be with you, no matter what the occasion. 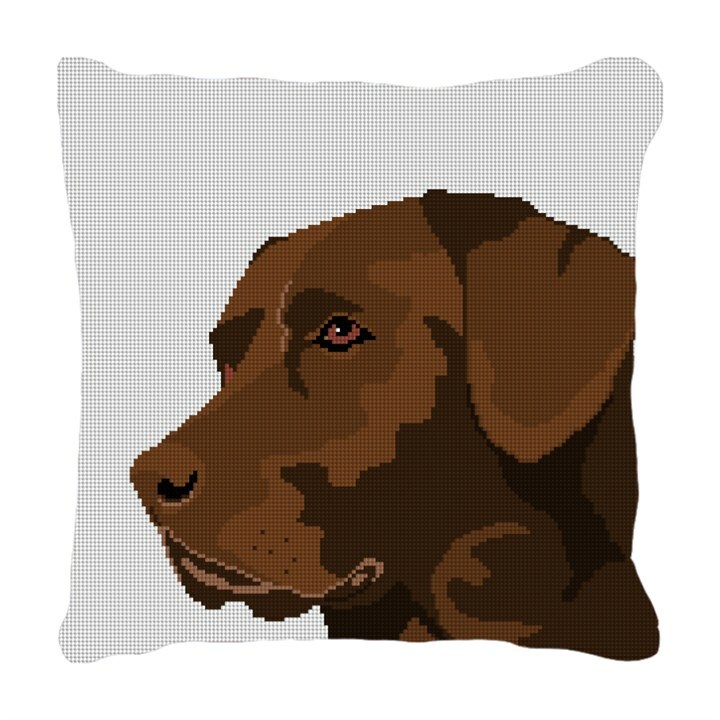 Our Chocolate Lab needlepoint pillow will add that welcoming touch to your living space.